In January 2016, the Sea Shepherd’s patrol vessel “Steve Irwin” detected a fleet of six longliners fishing on the high seas in a remote part of southern Indian Ocean. 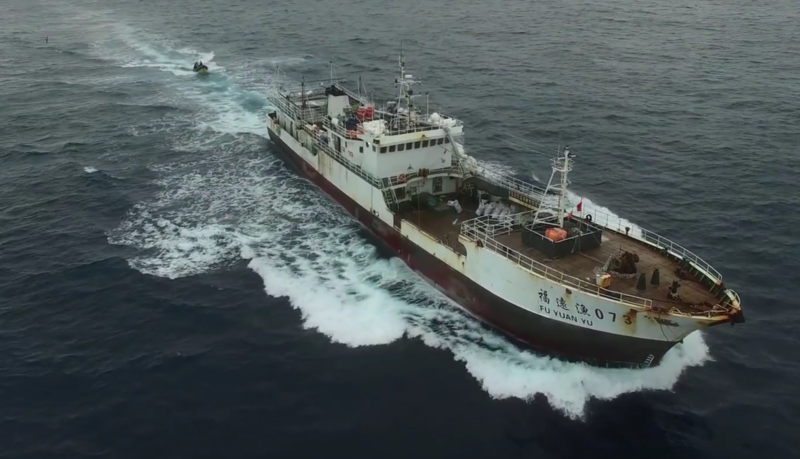 It is rare to see tuna vessels fishing in such remote location so “Steve Irwin” pursued the fleet it saw on its radar and intercepted one of them (Fu Yuan Yu 073). The vessel was actively fishing and upon detection by the Sea Shepherd vessel abandoned its fishing gear “a large 5 kms long driftnet”. Steve Irwin decided to remove the illegal gear and document the extent of damage caused by the driftnet operations. One driftnet that was hauled by Steve Irwin revealed extent of the damage. Catch retrieved from a single 5 km long illegal driftnet included a brown seal, dolphin, sharks and other pelagic fish. On 20 December 1991 U.N. passed Resolution 46/215 banning operation of large-scale pelagic high seas drift-net fishing and to ensure that a global moratorium on all large-scale pelagic drift-net fishing is fully implemented on the high seas of the world’s oceans and seas, including enclosed seas and semi-enclosed seas, by 31 December 1992. The Fu Yuan Yu fleets appears to be Chinese fleet that does not appear on list of authorized vessels on any of the Regional Fishery Management Organizations (IOTC, WCPFC, CCSBT, etc.) managing high seas fish stocks. The fleet of six vessels detected by Sea Shepherd (Fu Yuan Yu 70, 71, 72, 73, 75, 76) if indeed Chinese pose a grave concern with respect to transparency of Chinese distant water fleet operations. (“On 13 February 1993, the Ministry of Agriculture promulgated a regulation prohibiting large-scale driftnet fishing on the high seas and notified local governments and fishing companies. The PRC announced that the regulation would be enforced by confiscating the catch, fishing gear and related income and imposing a fine; detaining or revoking the fishermen’s license; and “bringing to account by administrative means the chief executives of the entities owning the vessels” (UN Secretary-General’s Report 1993). Chinese Government through its MOA issued two circulars one in November 1990 “Circular on the UN Resolution on the Ban of Large scale Driftnet on the high Seas” and another one on 8 June 1991 “Circular on the Restriction of Largescale Driftnet Fishing on the High Seas” asking vessels to strictly abide by the conditions in their fishing permit and refrain from using driftnets on the high seas. On January 5, 2016 from an office in USA, several thousand miles away a data analyst named Bjorn Bergman from SkyTruth blogged about unusual vessel activity by a fleet of six vessels operating in a remote area of southern Indian Ocean. The SkyTruth team was observing the vessels for more than a month near the same area where Sea Irwin spotted the six Chinese vessels. The activity of the Fu Yuan Yu fleet was strange as they were more than 500 miles away from known fishing vessels operating in the southern Indian Ocean. Skytruth shared the vessels tracks of the six vessels with several RFMOs, but none was able to confirm the activity. In a brazen attempt, the six vessels appeared near the search site for Malaysian Airlines Flight 370 without fear of being identified by three MH370 search vessels (Havila Harmony, Fugro Discovery & Fugro Equator). Another Skytruth article on January 25, 2016, Skytruth blogged that the Chinese fishing vessels were targeting small pelagic fish. 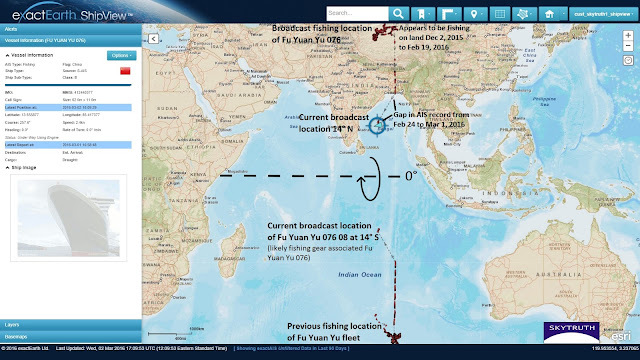 Images from Skytruth showing (1) activities of Fu Yuan Yu fleet near the MH370 search area; and figure (2) string of fishing gear associated with the fleet. 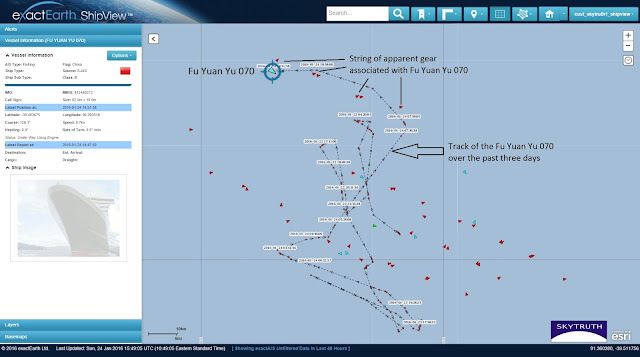 In fact, based on information from Sea Shepherd video dated March 16, 2016 we now know that they (Fu Yuan Yu fleet) might be fishing using driftnets and not targeting small-pelagics as previously thought. One of the pictures from Bjorn Bergman’s post shows that the vessels were likely transferring catches to another fish carrier “Liao Chang Yu Yun 88” which left the fleet after two weeks. Another reason the vessels activities can be deemed suspicious is because of how far they were operating from other tuna fleets in remote Indian Ocean for weeks at a time. 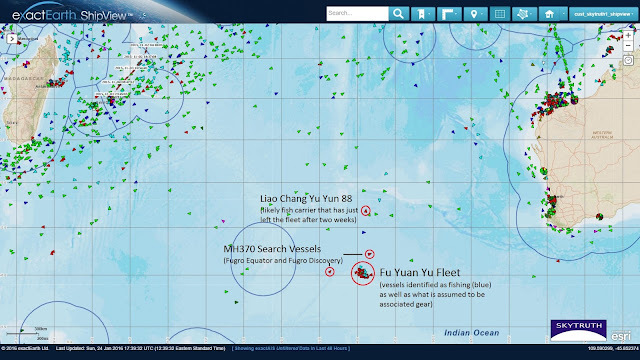 On a March 1, 2016 blogpost Skytruth states that the Fu Yuan Yu fleet might have moved north. Content from the March 1, 2016 post shows that the vessels have either switched off their AIS transponders or even tampered with vessel transponders to disguise their current position. 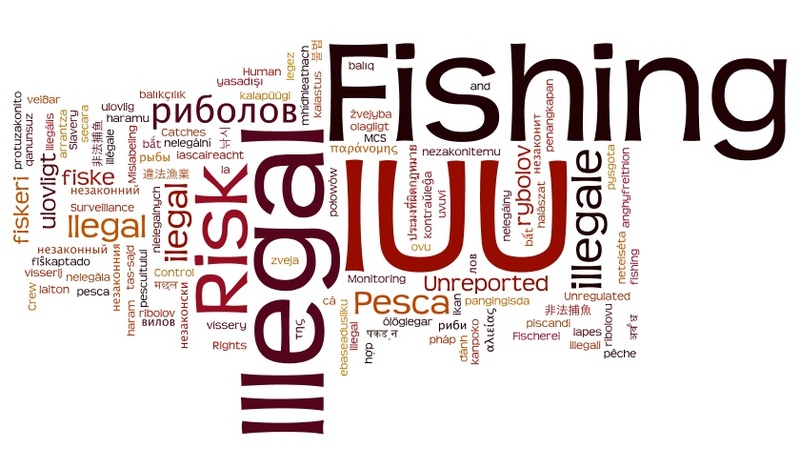 Sitting in a small home office in Vancouver, using different sources I am able to make sense of four different reports months apart as I check illegal fishing activities on a day-to-day basis. When I overlay the information from all four reports from (Sea Shepherd) and (Skytruth) I can draw conclusions to report that all the six Chinese vessels were probably engaged in illegal driftnet fishing catching bluefin tuna, sharks and indiscriminately killing marine mammals using banned fishing methods. Upon detection by Sea Shepherd the vessels probably fled the Southern Indian Ocean area and headed north (See Skytruth article). It is probably impossible to know the current locations of the Fu Yuan Yu fleet as they show tampered AIS signals. As an IUU fishing researcher I will follow up on this story and track AIS signals of the fleet. The six vessels need to be boarded and inspected to identify the extent of violations and to identify the vessels owners of this fleet. It is not wrong to surmise that the vessels might have changed their identity by now. AIS or VMS signals alone are not enough to identify illegal fishing operations on the high seas. At sea direct presence and enforcement are necessary to achieve meaningful surveillance on the high seas. Nations lack physical capacity to control activities of their distant water fleet and exercise flag state responsibility. U.N. General Assembly (1991) U.N. Resolution 46/215, 20 December 1991. Sea Shepherd (2016) Shocking Footage of Illegal Fishing in the Indian Ocean, March 15, 2016. Skytruth (2016) Fishing fleet at MH370 search site may have moved North, March 1, 2016. Skytruth (2016) Update on Fishing Fleet at MH370 Search Site, January 25, 2016. Skytruth (2016) Unusual Vessel Behavior in the MH370 Search Area, January 5, 2016.